Today I’m joining in on a Top Ten Tuesdays post, hosted by That Artsy Reader Girl (which is where TTT moved as of TODAY, having formerly been hosted by the Broke and the Bookish). Here are some of my bookish resolutions/goals for 2018! I haven’t decided if this means more or less books for review (since I love them but they are also time-consuming… but I love them…). Regardless, I’d like to stay on track for the ones I have and any future ones I might get. Related to the above point, I’d like to get the necessary reviews written within a decent amount of time. NaNo and Christmas season wreaked havoc on my reviewing schedule, and I just haven’t gotten around to some of them that I should have. So those are next! I seem to have accumulated several books which authors were kind enough to give away and which I won… And then said books sit on my dresser or Kindle app waiting for me to read them, while I get distracted with review books and things. So I’d like to read and (hopefully) review the books I’ve won. I often end up reading a lot of books at the same time, which means I get stuck in several… which ends badly. I’d like to focus on one book at a time. I do say within reason, so I may read more than one at a time under certain circumstances — for instance: an e-book and a physical book, a re-read and a new read, a read-along and a read-aloud, a novel and some short stories and a nonfiction… things like that, where I distinguish between what SORT of book it is, I might allow myself to simultaneously read more than one book. But in general, just. one. I know it sounds silly, but any time a book comes “with strings attached,” it becomes something to mark off my to-do list. I do LOVE review books, read-alongs, library books, books I’ve won, books to edit, books by friends, and so on, but anything with an “I should read this” or “I should review this” or a deadline attached to it in my subconscious isn’t just for PURE pleasure… (Please tell me I’m not the only one?) So despite loving those, I would like to kick back and read JUST for fun sometimes, and not worry about having opinions and stuff. Also self-explanatory. Re-reads. 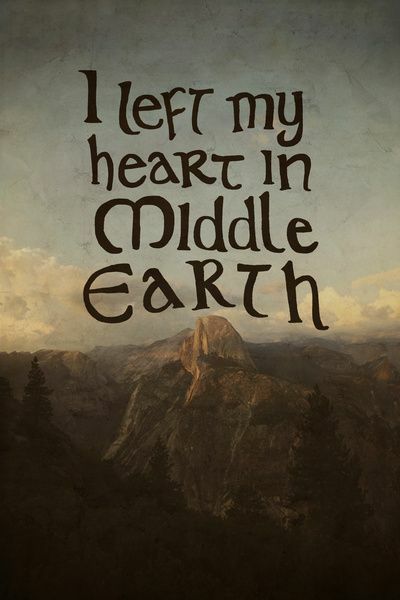 Books by Tolkien I haven’t read. Books by others about him and his writings. The works. This one is hard, and one of the reasons why I often ALMOST don’t start a Goodreads reading goal… (But I usually break down anyway because it’s nice having them all listed.) I don’t like obsessing about how many books I read, because that makes it more like work, but I can hopefully keep track without getting too into it. XD I really need to remind myself that I still read for fun. And if it’s not fun, I shouldn’t be doing it. And if I’m MAKING it not fun, I need to stop! Breathe. Read. Dream of ink and pages and bookshelves. Be a contented bookdragon. Well, those are my top ten bookish resolutions/goals; we’ll see how quickly I can fail at all of them. XD But it’s all in fun. 🙂 What are yours? And do we share any? Let me know in the comments! I’m addicted to reading books in one sitting, or at least in one day. Which doesn’t actually happen as often as I’d like… But whenever I can, I try to. Sometimes it’s not possible, but it’s really hard for me to focus on the rest of my day if there’s a book I’m in the middle of, calling to me . . . When I visit somebody, the first thing I want to do is look at the books on their bookshelves. …Which is awkward because it’s probably impolite? I’M AN AWKWARD INTROVERTED BOOK ADDICT WHAT CAN I SAY. I spend large portions of my life just sitting and staring at the books on my bookshelf. Probably more time than I spend reading. Okay, not that long. But really though. THEY’RE SO PRETTY AND LOOKING AT BOOKS MAKES ME HAPPY. A bookcase is better to me than a view out a window. I usually organize my read books on two bookcases, alphabetically by author. Unless I happen to feel like organizing them by genre. But that normally doesn’t last long. The cool thing about that, though, is that when I get tired of it, it’s another excuse to reorganize my shelves! *cackles* …Okay, I probably have a problem. >.> I also currently have two-ish shelves dedicated to awesome books I love that I want to reread in the near future. I keep a list in my purse of library books I want to read. I don’t go to the library very often — usually once a month is “often”, to my mind. So, using my handy Goodreads shelf for reference, I keep a list or sometimes spreadsheet that I print, of all the books I want to get out and which library they’re at. Often organized by which ones I want next. Lists of books are my friends and I love them. I’m ridiculously organized about books, if you haven’t noticed. I try to only check 1-3 books out of the library at once. Because as much as I’m tempted to check out THE ENTIRE LIBRARY AT THE SAME TIME… I’m also finicky about sending a book back unread. I HATE doing that. So I try to be reasonable with how much time I think I have to read. I sometimes dream about books I’ve read. This is always awesome, except when it’s scary… but either way, I still usually love it. I procrastinate over books I’m “supposed” to read. When I’m “supposed” to read a book because of a recommendation or for review or something, I have this weird mixture of excitement to read it because of said reason, and a weird reluctance to read it due to a feeling of “obligation”. …It’s very bad, I tell you. I WANT to read it… but it also puts pressure on me in some way, and pressure and I do not get along well. In a weird, unexplainable way that directly contradicts the point above, I’m way more likely to want to read a book if a good friend whose book-taste I trust, highly recommends a book to me or shrieks excitedly about it in some review. Sometimes there’s a book I kinda am interested in, but it sometimes takes a high recommendation from someone for me to decide to actually try it out. This week’s prompt for Top Ten Tuesday (hosted by The Broke & the Bookish) is to share our top ten lesser-known books — specifically, books with less than 2,000 ratings on Goodreads. This is one I was really curious to try! So I sorted my Goodreads shelves by the number of rating, and wrote down ones I loved that had less than 2K ratings, and it was fascinating to see. I have a bit of a dilemma though, because many of the ones that I love that are “lesser known” as far as number of Goodreads ratings are actually more known in my circles and/or I’ve talked about before. All of those are beloved books I’ve read, mostly by authors I semi-know, and all of which (I think) I’ve talked at length about how much I love, before this, and all of which released in the last decade or so. I love them, and I highly recommend them, and if you haven’t read one or all of them, I demand highly suggest you read them at once because they’re awesome! In no particular order… Underrated books I love. 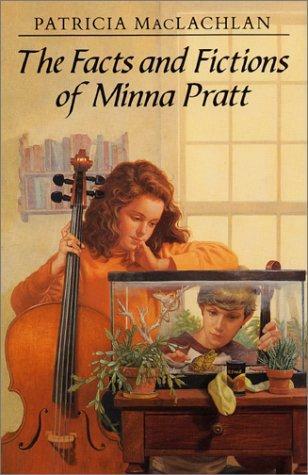 I read this a few years back, and, if I’m going to be honest, I don’t remember this book very well. 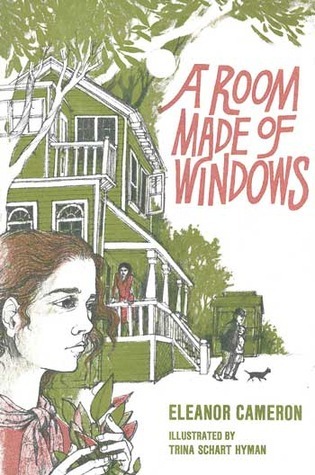 All I know is it was one of the strangest books I ever read and I adored it to smithereens. 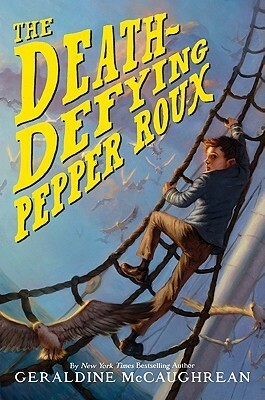 There was this boy named Pepper Roux who thought he was going to die when he turns 14 and there was a lot of running around with pursuits and I think there were candles and scaffolding and back alleys and ships and a best friend I think and it’s all from the unreliable narrator point-of-view of the hero and… yeah. That’s what’s in it. I think. I could be totally wrong though because honestly it’s terrifying how little I remember about this. I very much need to get it from the library again and reread it. I just love this author. She’s brilliant. 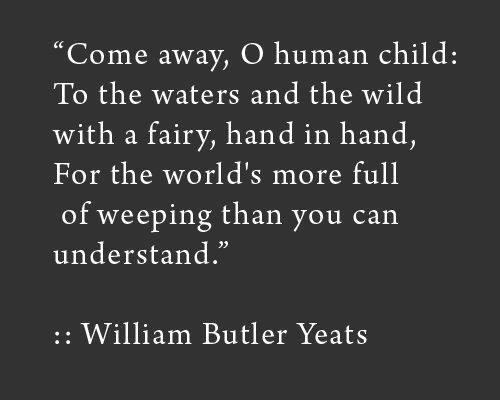 I might think differently of it now if I reread it, I don’t know, but this is another favorite from when I was younger… it just really resonated with me at the time. It’s hard to describe the plot since there isn’t a lot of one… It’s just a historical fiction about a girl in I think the early 190os (could be wrong… I don’t remember) and her family and the strange people who live in their neighborhood, and she’s a bit of a writer and very accident prone and… I don’t know. I just liked it. Plus it’s illustrated by my favorite illustrator, Trina Schart Hyman. Which is cool. I discovered this book because I loved the author’s Mushroom Planet books, which are fabulous by the way. Okay, so I ADORE this story. It’s an original fairytale sort of story, about this evil lady who raised this boy to be awake in the daytime and fear the night, and this girl to be awake at night and fear the day, and how they end up meeting and having to guide each other through the day or night, whichever is their element and not the other’s and… I don’t know, it’s just AWESOME and I love it. I own an omnibus collection of all 5 books (plus an extra short story) of Father Brown, totaling 51 short stories in all, which I picked up when a friend was getting rid of some books. 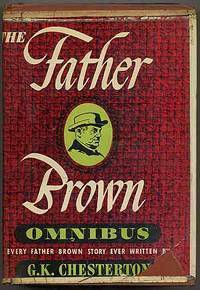 I just love the Father Brown stories! Especially the ones with criminal/criminal-turned-detective, Flambeau, who’s a great friend of Father Brown. I enjoy mysteries but I don’t usually have enough patience for a full novel-length one, so mystery short stories are my favorite, and these were all so unique and awesome. Father Brown is such a unique and unexpected detective, so unassuming but smart and also humble… He just IS. And pair him with clever mysteries and my favorite character Flambeau and they’re just awesome stories with this great “feel” to them. I just really enjoy them and I’ve read the entire collection at least twice and want to read it again. To me, they’re right up there with the classic Holmes stories as far as mysteries go. Considering how popular Kidnapped is, and a classic at that, I’m extremely surprised how few people seem to know about and/or have read the sequel! 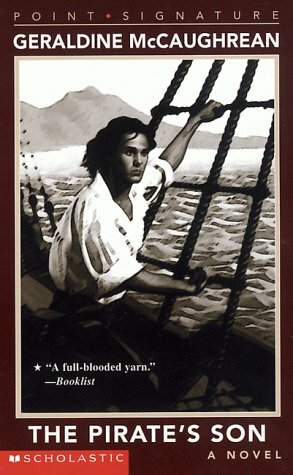 Kidnapped is one of my favorites due to the Scottishness and the friendship between Davy and Alan Breck Stewart (not to mention the character himself). But in my mind, I consider Kidnapped and the sequel to be the same story, just chopped in half. 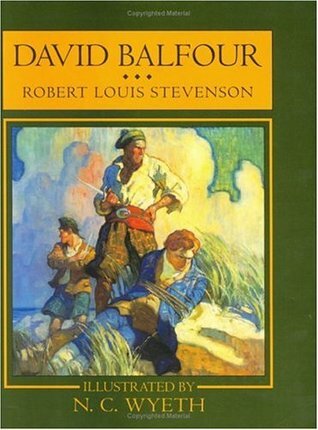 David Balfour (or, the title it was published under in England I believe, Catriona, referring to the heroine of the story) picks up directly after Kidnapped ends, like… literally the same day if I remember right. 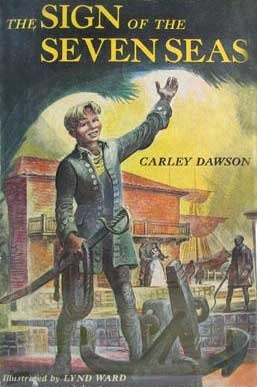 It deals with Davy’s adventures afterward, including some wrapping up stuff from the first book, Davy meeting a singular young woman and their story, and Alan even returns for a couple more adventures in the book. It’s sometimes odd and I have a feeling while I’m reading it that most of the story goes over my head, likely because it was written so long ago and Stevenson and authors like that were so genius, but I still really enjoy it and consider it Kidnapped: Part 2, myself. It’s a shame more people haven’t read it because more Davy and Alan is awesome, not to mention it’s neat that Davy finally finds love. I mean, all the movie adaptions like to slip a girl into the Kidnapped story, so why not just read further to find it? 😉 But it’s more epicness and Scottishness and Alan so what is not to love? Mostly Alan. Because Alan. 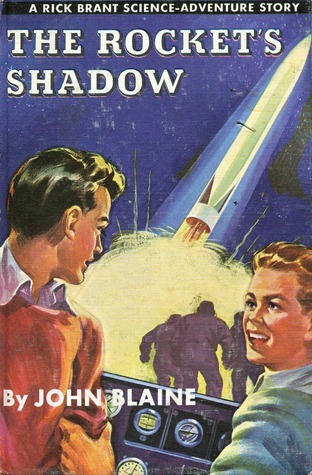 This is another lesser-known sequel. I couldn’t put “The Boggart” on this list, since it has over 2K ratings on Goodreads… but I really loved that book, and was so incredibly excited to find out there was a sequel and read it! 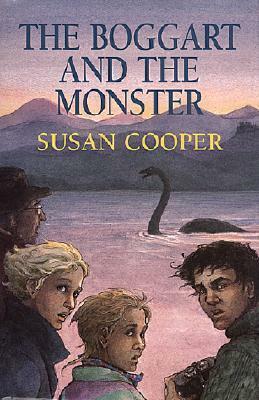 In this one, the hero and heroine from modern-day Canada go back to Scotland and meet up with old friends from the first book, and there’s all sorts of fun and awesomeness and the Loch Ness Monster (except not scary, just really really cool) and the Boggart himself again, and Tommy Cameron is the best and that is all. I grew up reading these in the funnies page of the newspaper, and I love reading the book collections whenever I can find them. 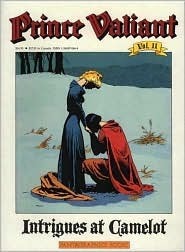 Prince Valiant is quite simply THE most epic thing ever, and the ultimate King Arthur thing for me. The illustrations are my favorite ever, the characters are awesome, the adventures so fun and epic… IT IS BASICALLY MY FAVORITE THING OF EVER. <333 I know it’s technically still going but I don’t read the papers anymore… so I don’t know if it’s still awesome or not, especially going through new authors and everything and some of the storylines were getting weird last I knew, but the old books are simply AWESOME. This boooook! 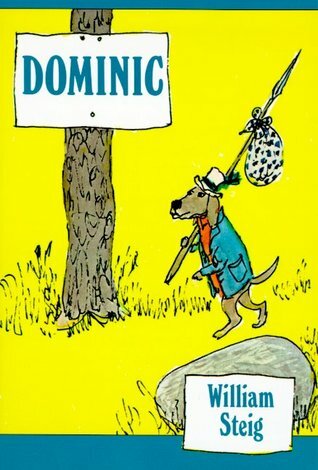 ❤ It’s about Dominic, a dog, who sets out on an adventure through the world he lives in which is inhabited by various animals who are basically like people and live in houses and all that. He has so many awesome adventures and is so heroic and finds treasure and rescues other animals along the way and fights against the feared Doomsday Gang, a collection of weasels, ferrets, foxes etc. who are nasty, and… just… he’s super epic. I love Dominic and this book and it’s the best. If you think you’re too old for animal stories? You’re not. READ THIS ONE. It has something for everyone. I just love it. It’s also illustrated by the author, which is super cool. The whisper of Glocken’s . . . bell. Top Ten Tuesday, hosted by The Broke and the Bookish — Join this week’s Link-up. I waited so long for this book and was delighted with it. In a sense, I almost SHOULDN’T have liked it because some of it was sad or bittersweet, but it was also so hilarious and awesome and PENDERWICK-y, even though it’s set several years after the other books. Also all of the myriad of characters were so distinct and their storylines were seamlessly juggled and just gaaah, can I sign up somewhere to write this well?? Again with the contemporary… but I just really enjoyed these, especially the first one. For absolutely no reason. But just… it makes me happy. A group of friends and their interactions with various fantastical creatures/happenings. I’m dying to read the fourth one, still… whyyy have I not found time to read it yet? There’s a sort of lending library of magical artifacts from fairytales, in modern-day New York… This one was fun, I enjoyed it, though I feel like it had potential to be more, if you know what I mean? But it was good. Also Aaron. This was so bizarre but I adored it all the same, because of the fantastic witty banter/dialog/snark from Skulduggery Pleasant himself. It’s set in modern-day Dublin, which is so cool, and Skulduggery is awesome, even if IS a… erm… skeleton. He’s also a detective and has the best lines and this was just rather fun even though it was also kind of scary. I’m considering steampunk odd/outside my general reading because I’ve only read a handful. This was my first, and I loved it so so much. (For those who haven’t, you can read my incoherent fangirl babbles on this book on my other blog.) But briefly: steampunk and alternate worlds and science-y/magic-y illusion things and sarcastic footnotes by the narrator, our hero Jonathan who’s wonderful, and then of course my favorite thing about it, the character named Lockwood who is just the best ever. Oh my goodness, so much genre mashing in this one too! It defies category… It starts out Contemporary England, and then becomes some odd mix of sci-fi/fantasy with time-travel and alternate time-lines and it’s a mess and I love it so much. I need to read the rest of this series… Also it’s brilliantly written and at times hilarious and so exciting and edge-of-your seat, and the CHARACTERS are just the best. I don’t read regency romance that often, but this one was so much fun. 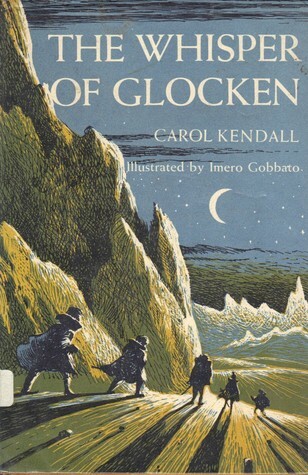 The family dynamics in this were the best, it was sort of like E. Nesbit meets Jane Austen sort of thing… But the hero, Lord Alverstoke, was one of those kind of awful characters you love all the same (looking at YOU, Howl…) and he and the heroine and her siblings were just… awwwk, the best. *flails around* There is also a hot air balloon. What is not to love. Shenanigans and romance ensue. It’s fabulous and I need to read more of this author. Do you have a comfort zone/genre of books that you tend to read? Do you step out of it sometimes and are the results good or bad? 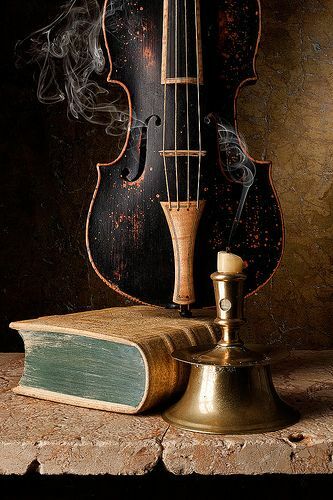 The theme of this week’s Top Ten Tuesday (a weekly book/list linkup at The Broke and The Bookish) is Books and Music. There are various spins on it being done, and I’m going to do a mix of them. This is going to be a mixed back of song-ish books I’ve read, want to read, and then some songs at the end which should be books. On that note, I just know there are tons of awesome songs/ballads I’ve heard, mostly Celtic ones, that would make absolutely fabulous books. But I’m having a really hard time thinking of any just now. The curious things about songs, though, is that they’re usually already perfect in song form. This has a large music theme (obviously) and I loved it so so much. *hugs book* I’ve always thought that music could go really well with fantasy settings and magic and that sort of thing, and this author pulls that off brilliantly. Not only is it based on fairytales that were I believe originally ballads (Tam Lin, Thomas the Rhymer), but it also has a lot of music involved since Tom plays the cello and there’s a whole . . . band . . . thing . . . going on. Anyways it’s awesome (and I reviewed it at length so obviously I love it a lot). I… haven’t read this one yet, so I can speak as to its quality or exact plot, but I hear tell that it’s in some way based on The Highwayman, a fabulous/tragic poem by Alfred Noyes, immortalized, for me, by Loreena McKennitt’s brilliant, gorgeous, haunting sung version of it. I’ve always thought it would make a great book so I’m very much looking forward to this novel inspired by it. Speaking of Loreena McKennitt… (Listen to parts of the songs I mention in this post, on her website.) She did a great, haunting version of this song. It’s a tragic song, and might better make a tragic backstory for a book than for a book itself? (I’m thinking like… a fantasy book based on it. I know it’s based on historical stuff but it would be funner this way. XD) But it feels like it needs to be involved in a book somehow… even if it would be rather grim. Again, Loreena sang a great version of this poem by Patrick Kavanagh. There’s just something intriguing about it. 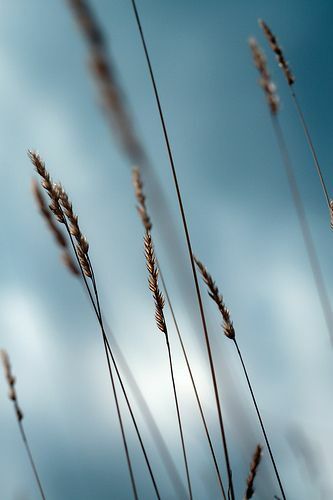 I don’t know how much of a story it could make in book form, but there’s an eerie feel to it and it could make a fabulous mystery/fantasy/romance type book similar to Tam Lin, perhaps? This is a song by Cara Dillon (one of my favorite singers!) about a young man wrongfully accused of stealing many things, including a man’s daughter. 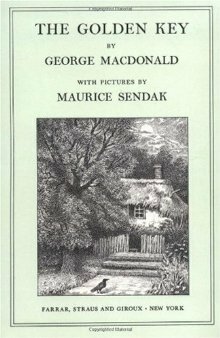 I just think it could make an interesting book, or any of a hundred other fabulous Celtic ballads involving thieves or… things like that. Aaand I’m just going to throw out there that there should be a book named after The King of the Fairies, which is a fabulous tune. The Broke and the Bookish‘s Top Ten Tuesday prompt of the week: Top Ten Books I’ve Recently Added To My TBR (inspired by Jamie’s New To The Queue posts). It’s usually top ten, but for myself I’m going just a liiiittle over. I glanced at my latest books added to my To Be Read list on Goodreads, and there are quite a few intriguing morsels I’ve added lately! 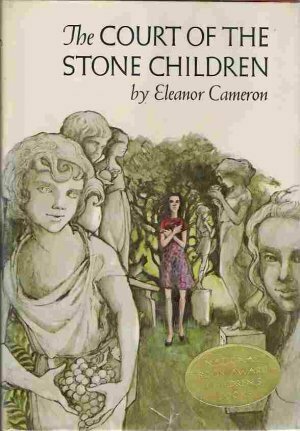 I’ve been wanting to perhaps read some of this famous mystery author, but I never know where to start, so I had once asked someone who mentioned she liked this author which was her favorite. She just got back to me and I promptly added this to my TBR. It sounds like an awesome mystery. The Floating Admiral by Agatha Christie, Dorothy L. Sayers, G. K. Chesterton, etc. 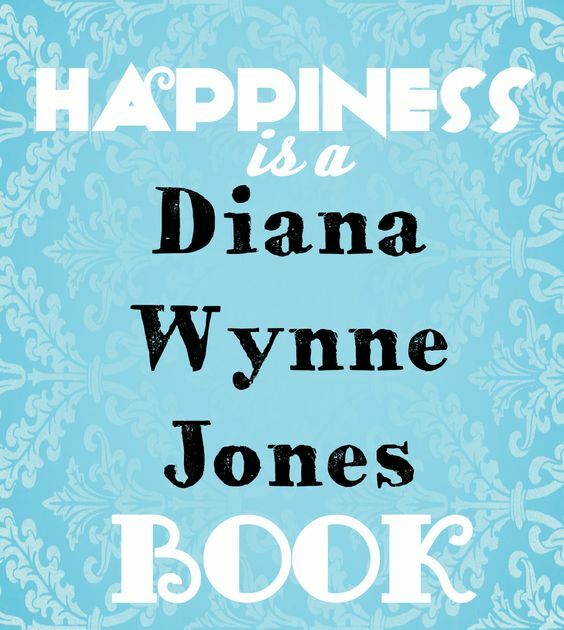 Blogger and author Kelsey Bryant mentioned this to me recently: a mystery novel where each chapter is written by a different famous mystery author! How cool is that? Now THIS I have to see. When the author mentioned on Goodreads that she’s having a blogtour for this soon and I read the description, I couldn’t resist adding this to my list. The description starts with: “In an Ireland that mixes high kings, faeries, and modern warriors who drive fast cars, Ciran, a descendant from the famous warrior Fionn Mac Cool…” and that’s all I need to know. SIGN ME UP. I noticed this in a summary of 2015 books post by Deborah Dunlevy, and it sounds like so much fun. Definitely want to try it out. Terry Pratchett is another author who I hear good things about and never know where to START. So I asked Sarah and she recommended this one and the following one. They sound humorous. Count me in. I love humor and slightly crazy-sounding whimsical fantasy stories. Yes please. Same story on how I came to add it as above. Cait has been after me (and everyone) forever to read some Maggie Stiefvater… So when I finally saw a review by Lisa Pickle in which she mentioned it has Welsh-ish stuff (and then I read the summary on Goodreads)… yep, had to add it. Jenelle Schmidt mentioned this in her list of books she’d want on a deserted island. I’ve only read a few of Zahn’s books (Star Wars ones) and loved them… I promptly looked this up on Goodreads, and as soon as I’d read the summary I added it to my TBR so fast I think I got whiplash. It sounds like a Firefly-esque book, by Timothy Zahn, and basically I just need it right now, okay? Dream away in those pages…! I’m addicted to lists, so once again I’m linking up with The Broke and the Bookish on their Top Ten Tuesdays bookish meme. This week’s theme is Top Ten 2015 Releases I Meant To Get To But Didn’t (check it out!). I own this and can’t BELIEVE I haven’t read it yet. It’s a Christian allegory novella, like… seventy pages long. I just need to sit down and read it, especially as I own a copy! I won this in a giveaway, and again, I can’t believe it’s still sitting on my shelf unread! This must be remedied. It sounds like a mysterious intriguing historical romance. I held this one too! *flails* Oh, the pain and sorrow that writers have when they have no time to read… No idea why I want to read this one but it intrigues me so I’d like to try it out sometime. I haven’t yet been able to get into reading the Ilyon Chronicles yet, as Resistance is such a monster of a pagish book that it daunts me… However I may manage to trick myself into starting the series by starting with this small prequel which is currently waiting on my shelf to be devoured in probably a sitting. Because I hear great things of Jace and must meet him. I recently snagged an ebook copy of this, and am positively dying to get to it. Can’t wait to continue this delightful contemporary fantasy series (The Book of Sight)! I’m currently reading this, loving it, and am so mad at myself for not getting to it sooner! I was supposed to review it eons ago and got so swamped with NaNo and holidays that I wasn’t able to look at if for MONTHS. Fortunately I’m now trying to remedy that as fast as I can… I’ve been looking forward to this ever since I finished reading The Seahorse Legacy.